Take your photos and videos to the next level with the Kraken single flexarm tray and the new Hydra 2500 lumen Macro Edition video/strobe light with sync cord. Camera & housing are not included. Please order options to complete your set. The Kraken 2500 Lumen Macro Edition Light/Strobe Package provides you with everything you need to shoot great underwater video and photos. 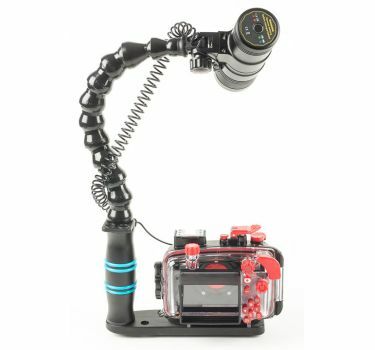 This lightweight package is great for travel and contains the a high-powered Kraken 2500 video/strobe lighting package of light, sync cord, and flex arm tray. 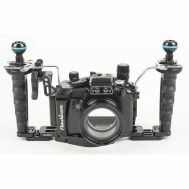 This is a great option if you like to shoot video and a stills! 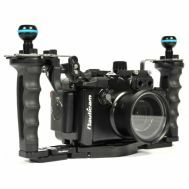 You must order the TG-5 camera and housing seperately. 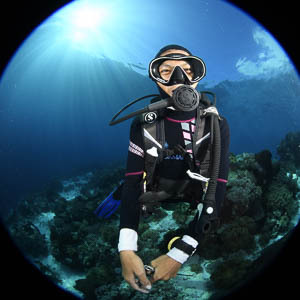 While underwater light will improve footage taken in shallow water, it's a must-have the deeper you go. At only 30 feet below the surface, red, orange, violet, and yellow are lost. At 60-120 feet, you're left with only blue and green. 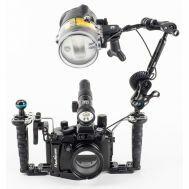 A strong yet flexible locline arm makes aiming the Kraken 2500 light a breeze. 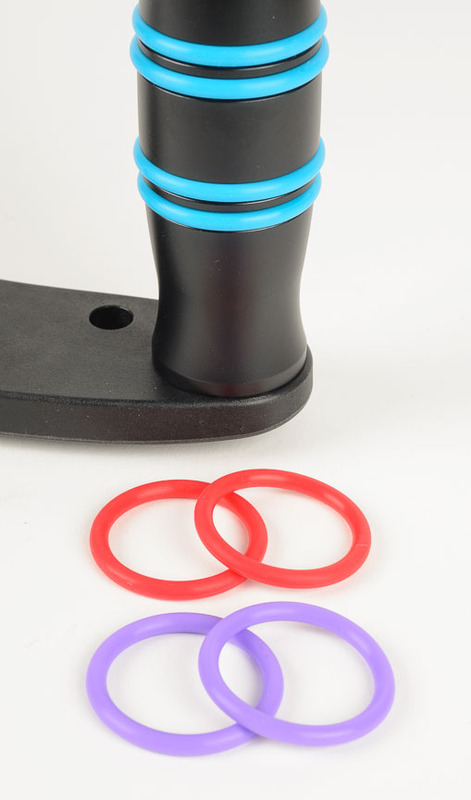 The handle is designed with extra height to accommodate larger or gloved hands. 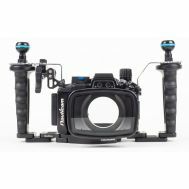 The Kraken Hydra 2500 Macro Edition light is the perfect all-in-one solution for divers wanting to use a smaller camera rig. The Kraken 2500 strobes very brightly to 4000 lumens when you shoot your camera! It is synced to your camera via a fiber optic cable to fire in a burst mode. You can use a constant 2500 lumens, with a burst to 4000 lumens. This output is enough light for most macro photo situations. This light has flood, red, and blue beam modes. You can combine the red, and the blue beams for a sort of pinkish purple. This can be used for artistic back, or side lighting. The modes are controlled by an easy-to-use two button operation with one button for mode and another for adjustable output. Holding down one button puts it in/out of burst "strobe" mode. It is also remote control ready, all you have to do is purchase the Kraken remote and you can control up to two lights without having to remove your hand from your tray! There will soon be an optional condensing lens you can screw on to the light to condense the beam way down to around 20 degrees. Built to the usual high-quality Kraken standards, the head water resistant. If you have an accident and flood the light, the head will remain ok. You'll probably have to replace the battery but that is much less expensive than replacing the light. 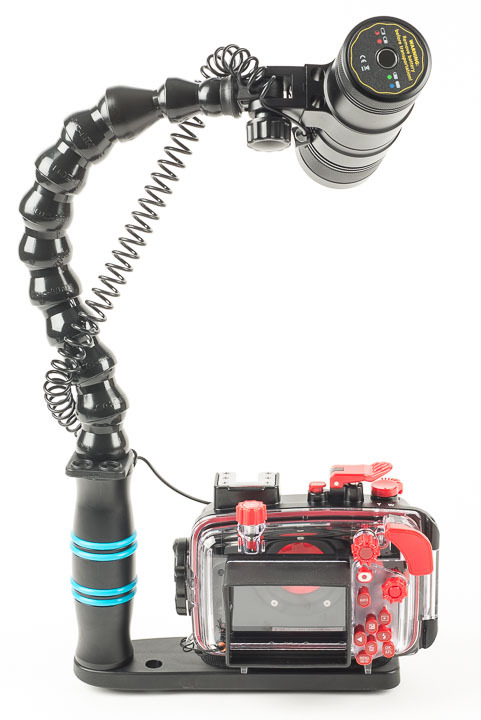 This gives you the benefit of being able to easily switch batteries between dives, but also not having to worry about a flood! Included in box: Light, Battery, Charger, YS Mount, spare orings, padded case. 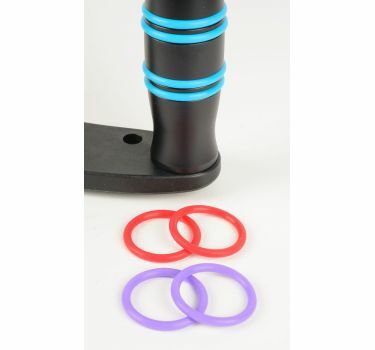 Also included is a high-quality multi-fiber 10Bar fiber optic sync cord. See our set-up tips article here.